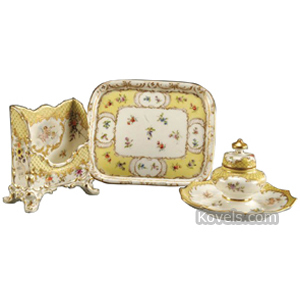 Dragonware is a form of moriage pottery made since the late 19th century. Moriage is a type of decoration on Japanese pottery. Raised white designs are applied to the ware. 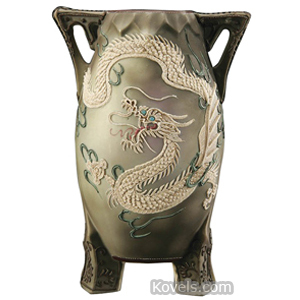 White dragons are the major raised decorations on the moriage called dragonware. 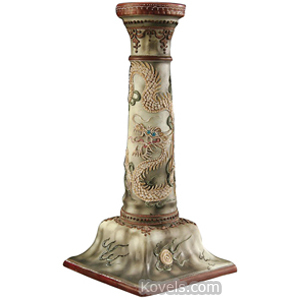 Original Nippon dragonware has very ornate dragons that wrap around the entire piece. The background can be one of many different colors. It is still being made.